Sheetal was admitted as a solicitor in the Supreme Court of Queensland and the High Court of Australia in 2012 and for most of her career practiced almost exclusively in compensation law. Helping her clients steer a path to finalising their claims, she worked with them through the trying, emotional and physical challenges such a claim can bring. Throughout she demonstrated a client-based approach to her practice, dedicated to achieving the best outcomes possible for clients. Her background in this area gives her unique insights into assisting clients struggling with the loss of a part of their life, in similar emotional situations that are experienced to various degrees with the breakdown of a relationship. 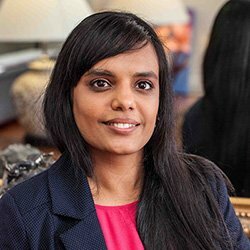 In her previous practice areas, Sheetal called upon her Commerce degree, investigating company structures and dissecting financial issues. She brings these skills to the practice of family law. Her warm and engaging manner helps her clients feel at ease. In her spare time, Sheetal is an avid cinephile and a ferocious reader, who is forever adding to her burgeoning personal library. She also loves to cook exotic vegetarian cuisine from all over the world, when she is not plotting to visit these places with her sister. Sheetal is committed to continuing to developing her professional skills by attending seminars on relevant topics and reading extensively. Truly dedicated and capable Sheetal is an excellent addition to our firm.